WQXR Movies on the Radio: 1940s films. The March 29 episode of WQXR's Movies on the Radio features scores from the 1940s, which includes music from Double Indemnity (composed by Miklos Rozsa), The Maltese Falcon (composed by Adolph Deutsch), and Spellbound (composed by Bernard Herrmann). Behind a new Hammett collection. 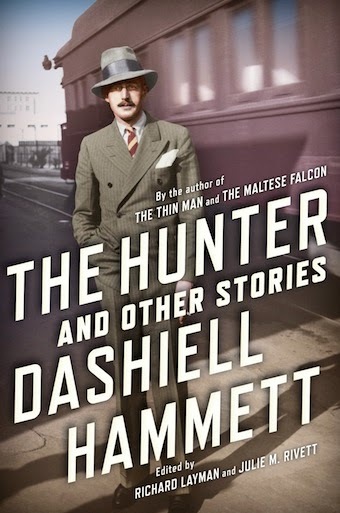 On Cultural Compass of UT-Austin's Harry Ransom Center, Julie M. Rivett (granddaughter of Dashiell Hammett) describes her work in the center archives with Richard Layman to prepare the raw material for The Hunter and Other Stories—a new collection of Hammett short stories that includes previously unpublished works. In an August 1952 episode of the Edward R. Murrow program This I Believe, sci-fi author Robert Heinlein spoke about his faith in the goodness of his neighbors and others. Said Heinlein, "Our headlines are splashed with crime. Yet for every criminal, there are ten thousand honest, decent, kindly men. . . . Decency is not news. It is buried in the obituaries, but it is a force stronger than crime." Number, please: Return of an Australian debut. 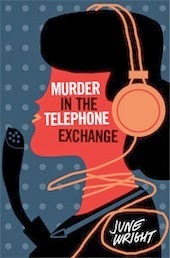 Murder in the Telephone Exchange (1948) by Australian mystery writer June Wright (1919–2012) features a sleuthing telephone operator pursuing the murderer of a nosy colleague (Kirkus review here). It is slated to be reissued by Portland publisher Verse Chorus in April (in Australia) and June (other countries). This will be followed later in the year by a previously unpublished Wright mystery, Duck Season Death. Verse Chorus plans other Wright reissues. Twenty-year anniversary of The Alienist. The Bowery Boys podcast remembers that Caleb Carr's The Alienist was released 20 years ago and provides additional details on and a map of significant New York locations in the book (such as Bellevue Hospital and Theodore Roosevelt's house). 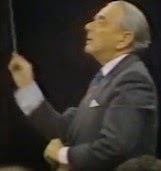 Today would have been the 99th birthday of Richard Condon, who was born in 1915 and died in 1996. He is probably best known for the chilling The Manchurian Candidate (1959) and Prizzi's Honor (1982). 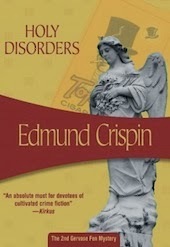 His debut novel was The Oldest Confession (1958), which became the film The Happy Thieves. Rex Harrison and Rita Hayworth star as a pair of art thieves plying their trade in Madrid; apparently Hayworth thought little of the film. Mysteries in March on CBC Radio (Canada). The CBC Radio program The Next Chapter is focusing on mysteries this month, including quizzes and recommended reading lists (the latter featuring writers such as Gail Bowen). Katharina Hall of Swansea University has an ongoing project, Detecting the Past, that seeks to examine how crime writers have portrayed the Nazis and their impact on the postwar period. 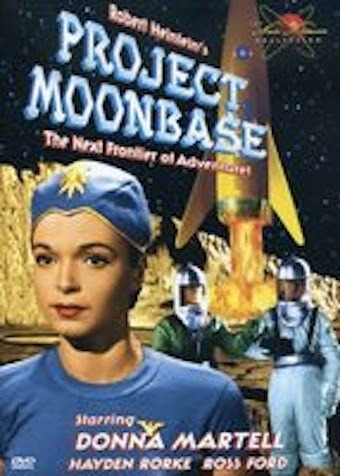 The project also will include TV and film representations. A sample of the database that Hall is compiling on the subject can be viewed here. In The Lady Confesses (1945), Hugh Beaumont's inconvenient wife returns just as he plans to marry another woman and winds up dead. 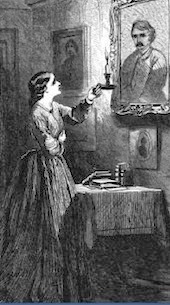 My article on first American detective novelist. 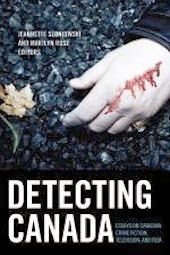 Mystery Scene has posted my article from issue no. 81 (2003) on author-editor Metta Fuller Victor, who wrote The Dead Letter (the first American detective novel). The intrigue behind Holmes's missing years. Moran in "The Empty House"
In the Public Domain Review, Andrew Glassard speculates that Sherlock Holmes may have been involved in espionage between "The Final Problem" (1893) and "The Adventure of the Empty House" (1903). He also looks at the backdrop of international intrigue behind "Empty House." Three Cases of Murder (1955). As the title indicates, there are three segments to Three Cases of Murder. "In the Picture" (from a story by Scottish writer Roderick Wilkinson) features a painting with supernatural elements. "You Killed Elizabeth" (from a 1951 story by Davis Dresser, aka Brett Halliday) involves two friends competing over a woman, who is subsequently killed. Orson Welles directs (and is the title character) "Lord Mountdrago" (from a story by Somerset Maugham), in which the tormented Welles grapples with the effects of his cruelty on a politician colleague. 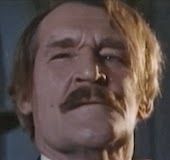 50th anniversary: The death of Arthur Upfield. 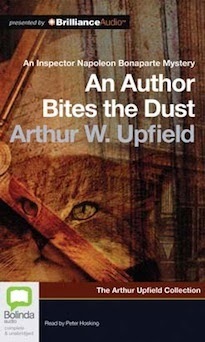 Philip Morton in the Southern Highland News (Australia) notes the 50th anniversary of the death of British-born author Arthur Upfield, an important figure in Australian crime fiction as the creator of aboriginal detective Napoleon "Bony" Bonaparte. Bony debuted in The Barrakee Mystery (1929, aka The Lure of the Bush) and appeared in 29 works. An Edgar nominee for The Bushman who Came Back (1957), he influenced authors such as Tony Hillerman. Assessing Upfield's place in Australian and international literature is Investigating Arthur Upfield: A Centenary Collection of Critical Essays. The TV movie 3 Acts of Murder (2009) delves into the fatal results when a friend of Upfield used one of the author's fictional methods of murder.